Janie Lee Clements Williams was born January 6, 1951 to the late Sarah Ann Hawkins and the late Charles Edward Clements, Sr. On the morning of April 11, 2019, within 48 hours of her dear mother passing, Janie chose to join her in Heaven to care for her throughout eternity so that her children and grandchildren would have two angels instead of one to guide and protect them throughout their own lives. Janie was a delightful child who although and only child, loved her many cousins as sisters and brothers growing up in Lumber City. Her love of God came at an early age and never departed from her C.M.E. faith and was an active usher and member at Saint James C.M.E. until the very end. 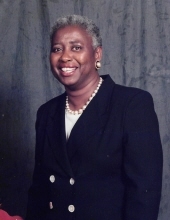 Janie attended public school in Telfair County and was a graduate of Telfair County High School. Like her mother before her, played basketball and was very social. She knew early on she wanted a different life than a small town had to offer, so she ventured to Atlanta to study accounting. She met and married Captain Jack Williams, Jr. During this union, they lovingly reared Retonia Michelle Clements and Jackqueline Williams. Janie was a very loving and protective mother and grandmother, sister, aunt, cousin, and friend for she loved them all equally. Saying Janie was kind is an understatement. If you needed her, all you had to do was phone her and if it was in her power to do so, then your request was happily met. Such an ambitious woman, Janie received her accounting credentials and went to work for Southern Baptist Hospital in Atlanta, GA in the early seventies and then she received a call from Scientific Products who would later become Cardinal Health. She worked tirelessly for over 30 years and the list of friends, more like family, only added to the list of people she came to love. Along with only her only two children, her beloved daughters, Retonia Michelle Clements of Conyers, GA and Jackqueline Williams Rumph (Jimille), our father, Captain Jack Williams, Jr., her 3 grandchildren (her absolute reason for being) Darryl D. Dixon, II, David James Williams, and Devin Mykel Williams (her future Morehouse Man as she would say), all of Lithonia, GA. She will be missed immensely by her siblings, Wilamena, Inell, Inez, and Charles E. Clements, Jr, all of Wilmington, Delaware, and Gregory Smith, Sr. of Alma, GA. She is preceded in death by her brothers Robert Clements and Glen Smith. Four brother’s-in- law, Clarence (Estelle) Williams, Stone Mountain, Larry Williams, Atlanta, Richard Still, North Carolina, and Marcus (Rossie) Williams. Three sister’s- in- law, Mary Anderson of Riverdale, Brenda P. Barber of Atlanta, and Rozie Smith of Decatur. We can measure our life sometimes by the amount of people we touch. Janie was loved by so many…also wrapped in grief along with us are devoted cousins Linda M. Smith and Harvey Smith, Celestine Kellem of Atlanta, Margret Clinch of Kennesaw, Helen “Tain” Clements, Cousin Aaron Clements, a devoted and self-less friend and shopping buddy Will Pearl “Tess” Duncan, all of Lumber City, GA. A dear friend who she enjoyed working with in the community, Councilwoman Alice Strong, Lumber City, GA. A special “nephew” Kevin Smith and his wife of South Carolina, are also deeply saddened by her passing. Special neighbors, Elijah and Veronica Towns. There may be a name or two that was missed, but please charge it to my head and not our hearts, just know that we appreciate and love you. Janie, our mommy, will also be mourned by hundreds of friends, nieces, nephews, cousins, family, but surely she is watching over us all. To send flowers or a remembrance gift to the family of Janie Williams, please visit our Tribute Store. "Email Address" would like to share the life celebration of Janie Williams. Click on the "link" to go to share a favorite memory or leave a condolence message for the family.